I have used a concealer for as long as I can remember and Estée Lauder and Clarins have always served me well in this area, but I was curious to see if you really get what you pay for from the high end brands or is this an area where I could potential save money. So I have decided to try out some different concealer options, but in a budget price range. Being a 50+ I'm not looking to conceal spots, but rather to conceal dark circles under the eyes whilst reflecting the light, neutralising redness around the nose and covering some hyper pigmented areas. The Body Shop All-In-One Concealer was disappointing on several counts. I have however recently bought 2 new concealers to try and I will post my thoughts in the coming weeks. I had quite a few favourites to share with you from the past 2 months, but I've narrowed my tops down to the 3 products below. 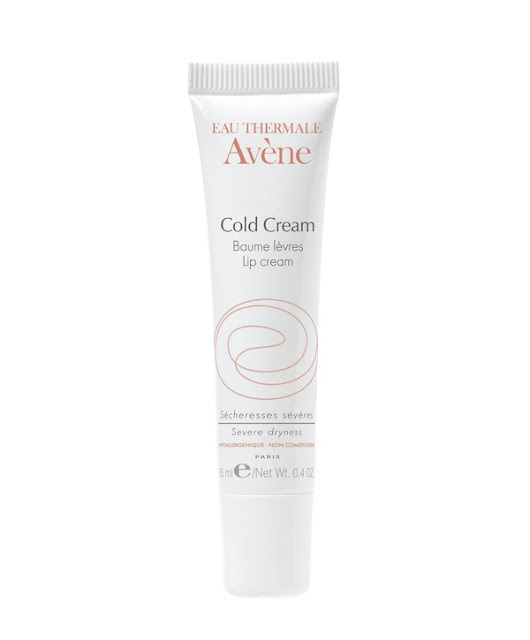 My Avène Lip Balm is still going strong and I'm still loving it and it has a permanent place in my bag this winter. 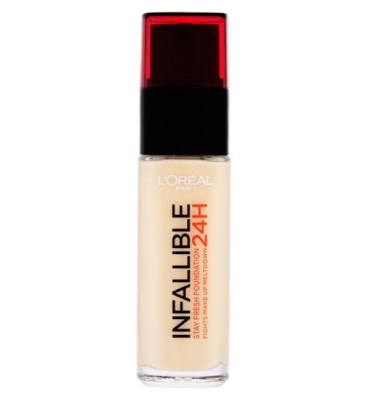 I'm having a little love affair with L'Oreal foundations at the moment and my second purchase of the Infallible Stay Fresh 24hr Foundation didn't disappoint. 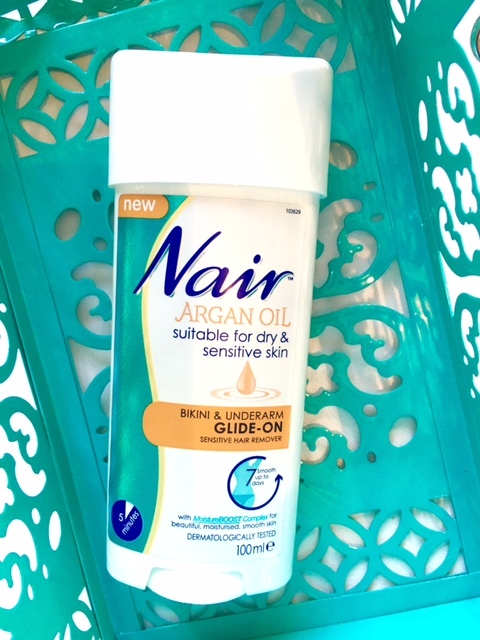 Nair have recently launched a range of hair removal products containing Argan Oil and I put the Bikini & Underarm Glide-On to the test and if you are looking to turn the chore of hair removal into more of a pleasure then I can recommend this product. I purchased the 3 items below and I have been using for them daily for the past few days, so here is my Friday Feedback. Dischem's, Clicks and even some PicknPays countrywide. 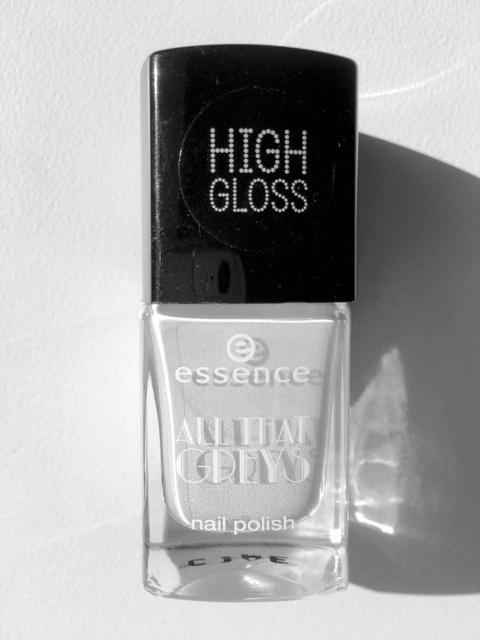 Having never used any essence products before and to be honest I wasn't expecting any great shakes, after all I generally review high end products and not so much budget ranges. 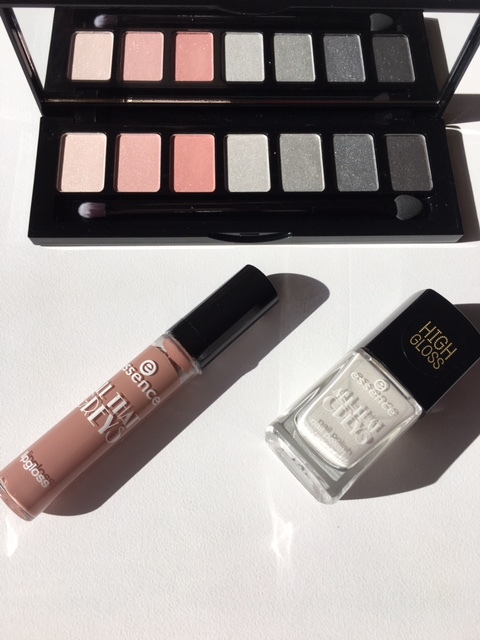 After my post last week I did on paper fall in love with this 7 colour eyeshadow palette, so that was definitely on my shopping list, along with the lip gloss and I had to buy one of the nail colours. 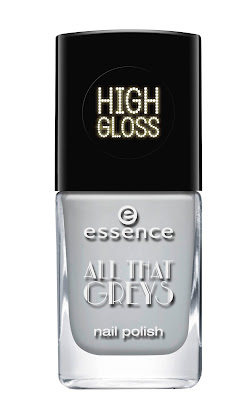 I had intentions of buying the darker grey polish in the collection, but it had already sold out, so I settled for the lighter grey which is almost white, but I do like a white polish. Initially I found the brush a little hard to control due to the chunky square lid. In order to achieve an even solid colour a minimum of 3 coats is required. I was pleasantly surprised to find the polish both quick drying and long lasting. 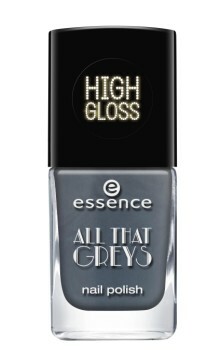 I found its High Gloss finish a lovely change from my normal matte white nail polish and it gets a huge thumbs up from me on both quality and price and another trip to Clicks is on the cards. 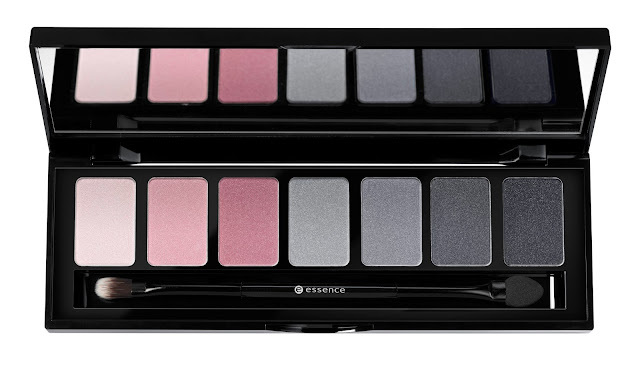 Again I give the eyeshadow palette a huge thumbs up, as I just love all of the shades in this selection. The pigment was surprisingly good and the powders transferred and blended well on the skin. 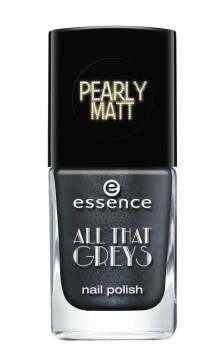 My one pet hate with eye shadows is crumbling and I'm sure you all know what I mean, its that irritating and messy crack or break in the eyeshadow that starts an unstoppable crumble and I have a good feeling that these eye shadows will pass the crumble test. I normally criticise the brushes that are supplied with certain make-up products, as they are often only good for the bin, but I'm making an exception today, as the brush end was really useful for applying close to the lash line. Unfortunately I can't give a thumbs up for the Lip gloss, as I found it unpleasantly sticky on my lips and I wouldn't repurchase. The shade was too pale, so I have been wearing it over a lipstick that was too dark and its worked well to lighten and add a glossy look. and is available now from Clicks and in Dischem from July. I'm generally not one to "chop n change" my foundations, as I tend to remain loyal to what I'm happy with and what works for me, that was until the end of 2015.
which appealed to me for its staying power and coverage. "High coverage long wear foundation now with Hydrating Hyaluron Complex. 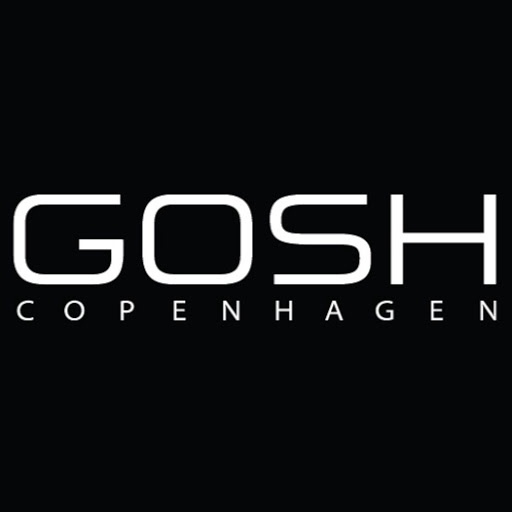 The 24H non-stop formula stays on and feels fresh from day to night"
I am not sure how many people would wear a foundation or want to wear one for 24hrs, but if you did then this could be just the one for you, as it's extremely long wearing. I put it to the test on many occasions for 18hrs+ and I was seriously impressed. little drying on my skin. This foundation would work perfectly on combination skin, after saying that, drier skins don't be put off, but just be aware to moisturise well before application and the problem is solved. The texture upon application is very different to the True Match foundation and you have to work a lot quicker with blending etc. 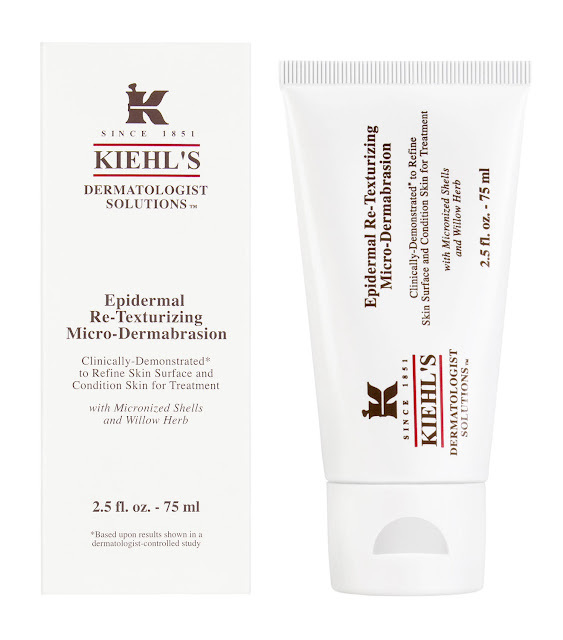 as it noticeably contains less moisture, giving it a drier formula. The finish of the Infallible for me, whilst giving a lovely flawless finish,was neither a matte or dewy, which I quite enjoy. The foundation is buildable, but the one application was enough coverage for me, without giving my skin that cakey or dry look. The True Match is still my daily "go to' foundation, whilst the Infallible Stay fresh 24hr is a perfect foundation on those days where a slightly fuller coverage and all day wear is called upon. 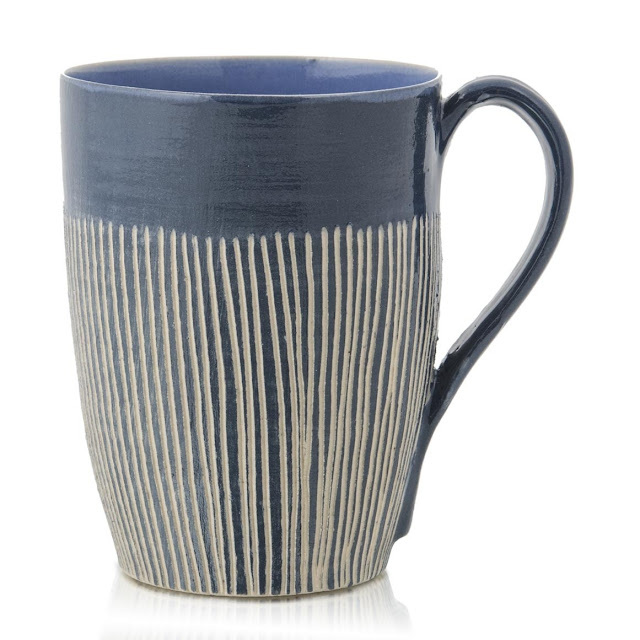 I have found some really affordable goodies for this weeks "Friday Finds" post. The entire collection is inspired by the roaring twenties where shades of grey are matched with rosy red shades. selected Clicks countrywide and in Dischem's from the 1st July. I thought I would share some of my favourites. I also love this Rose, Red & Grey eyeshadow palette which offers seven soft, powdery textured shades, all with high coverage. This would be a palette where I would make use of every colour, unlike some where there is always a couple that I don't like hence I don't use. 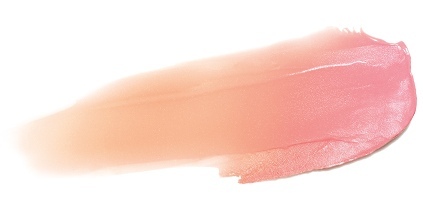 The soft rosewood colour of this lip gloss looks like it was made for me. 2016 Limited Edition Clarins Daily Energising Lovely Lip Balm. Last year we saw the funky bright dotty packageing whilst this year it's the turn of the pretty petal/floral design. 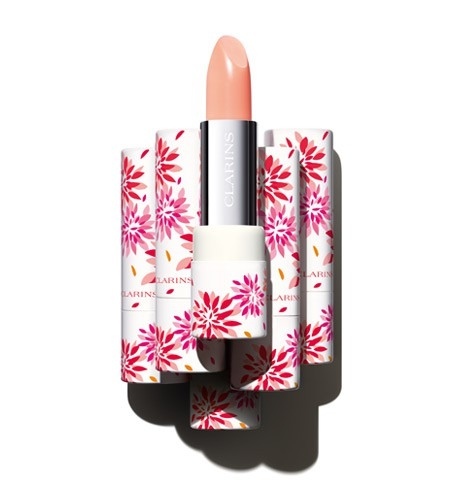 Just a reminder that this Clarins’ sheer, does-it-all energizing balm keeps lips moist, nourished, conditioned, protected and perfectly plumped! 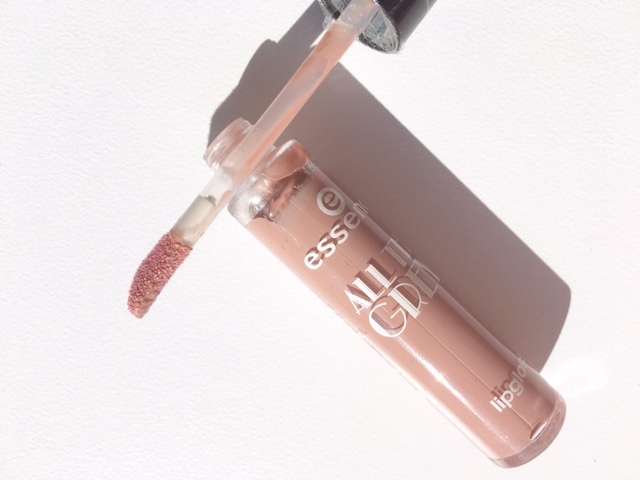 It's deeply hydrating formula reacts to the pH of your lips, creating a customized rosy glow whilst having a melting texture and a deliciously fruity essence of peach. P.S. The cardboard Eco-Chic packaging is sourced from sustainably farmed forest,so you can feel good about your lips, and the planet! Available at Clarins stockists countrywide for 6 months or whilst stocks last. It's Fathers Day in South Africa on Sunday 19th June and I have put together some of my favourite Luxury gifting items, just in case you are looking for some inspiration. Its never too late to get your dad or man interested in caring for his skin and this is a great starter kit. 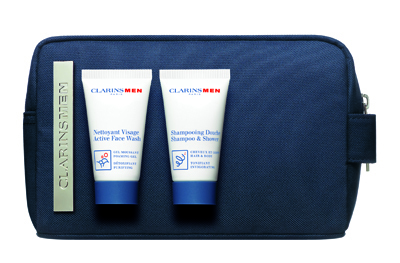 This ClarinsMen toiletry bag is filled with really useful items and it would also make a good companion for travel or to take to the gym. 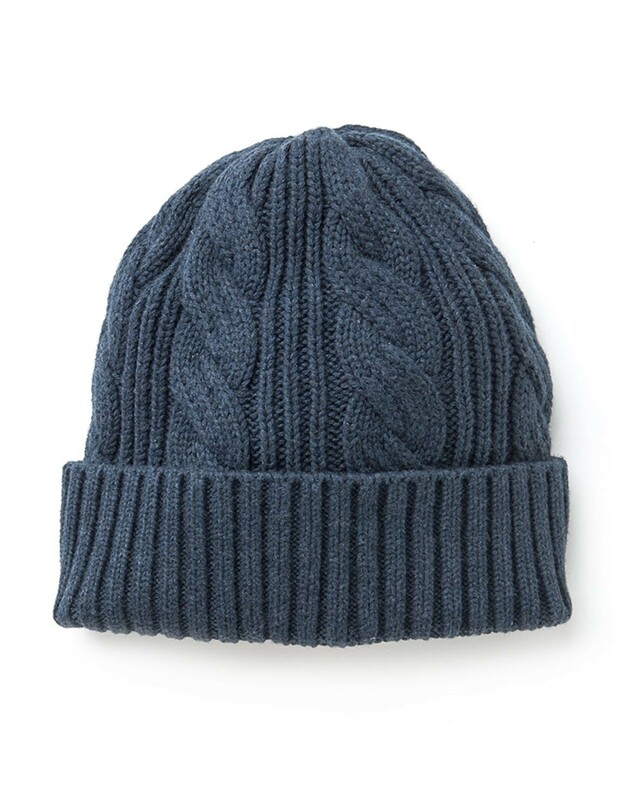 This Cable Knit 100% cotton Beanie will keep dads head nice and toasty this winter. 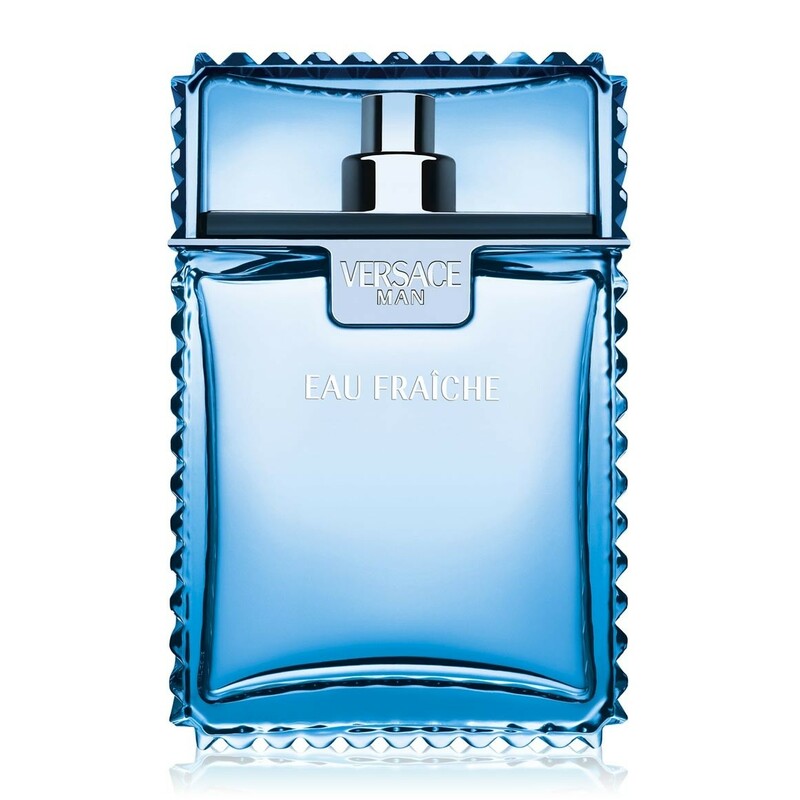 If dad is in need of a new addition to his fragrance collection then give Versace Eau Fraiche EDT a try as it's a fresh, aquatic fragrance with some woody notes. If you have a WW Reward card then you could save up to 25% when you order on line from Woolworths. Let dad savour his daily fix out of this colour-block mug from Woolworths Artisan collection, a hand-thrown piece that is part glazed, part matte, made by Storm in a Tea Cup. 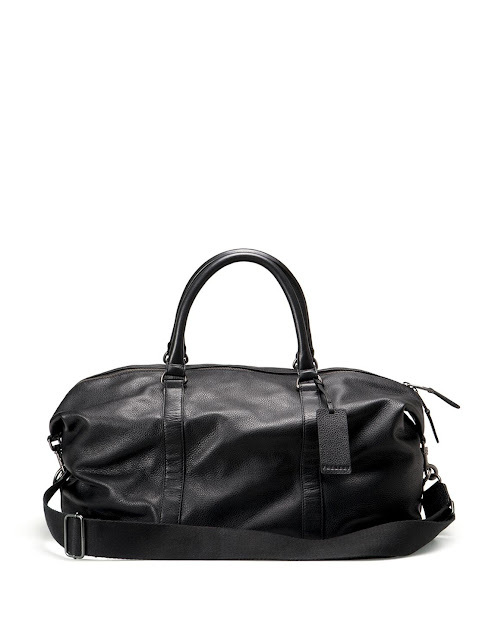 Any dad would love this luxurious overnight bag in pebble grain black leather with a sturdy construction. 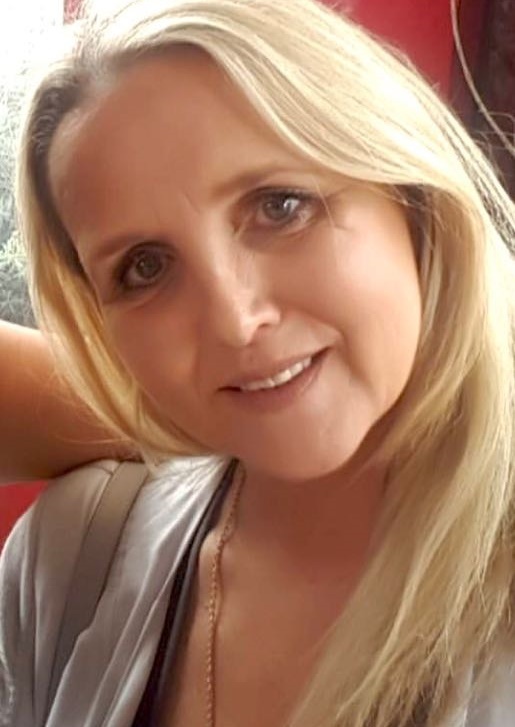 I've been on a bit of a roll recently with mascara reviews and I have come across and in some cases stumbled across, some really great ones. Having always been a huge fan of "the great" mascara and hold it in high esteem.. I'm one of those people that would feel absolutely naked if had to go out without my lashes being curled, coated, lengthened and volumised. So did this match up to it's chunkier more vibrant looking sibling? There are so many mascara's on the market and a mascara is such a personal choice, but I for one don't particuarly like a double ended mascara, which this mascara is. Side 2 has a larger chunkier brush for adding volume to the upper lashes. 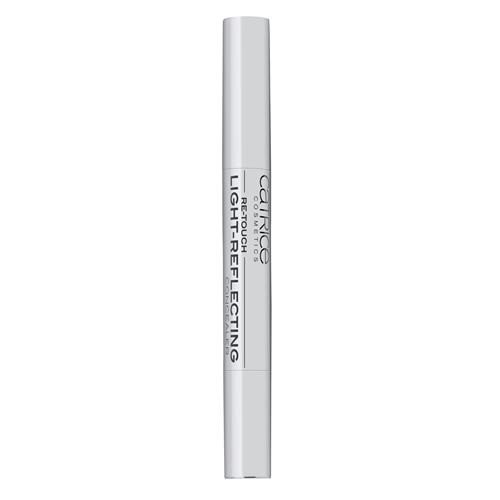 Now this may sound great in theory, but in practice I found that I enjoyed the precision end more than the volumising end and used on both my upper and lower lashes. The precision side allowed me to really coat those shorter lashes and separate any lashes that stick or have a tendency to clump together, so if I could have the whole mascara made up of the definition side then I would most definitely purchase. I wasn't so impressed with the volumising side, as the brush was just too large as well as being slightly too long, which resulted in a somewhat messy application. I also found the balance in my hand not too steady or comfortable due to the extra weight of having two brushes in one mascara and as you may or may not know I like a comfortable, well balanced mascara, which makes for a more controlled application. 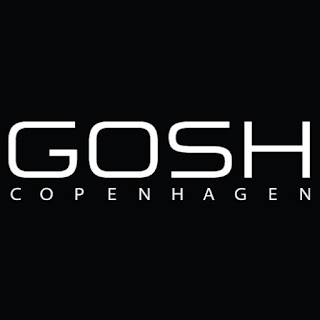 I thought I would write another Friday Feedback post on a couple of products that I reviewed some time ago, to let you know if they are still in my life or not. 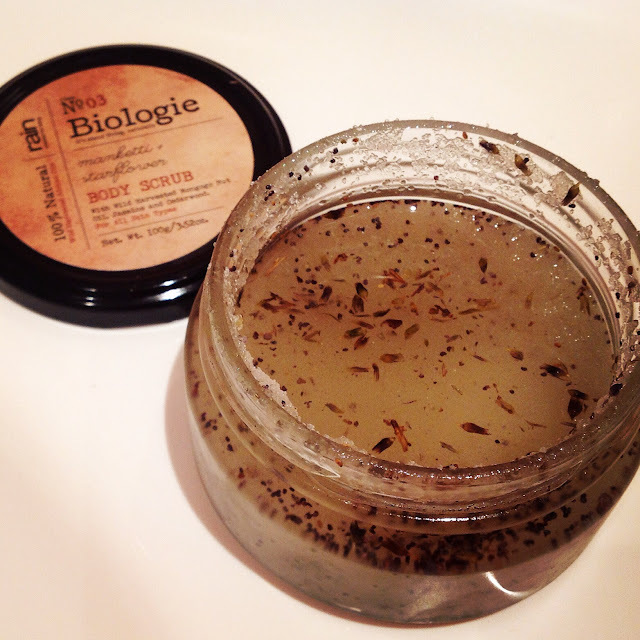 Way back in March 2013 I reviewed this product and it's still a part of my weekly skincare regime. Read my review from back then to find out why this product has stuck with me. 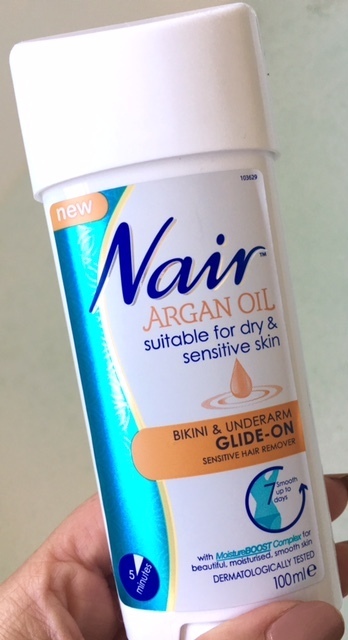 so I put the Bikini & Underarm Sensitive Glide-On to the test. 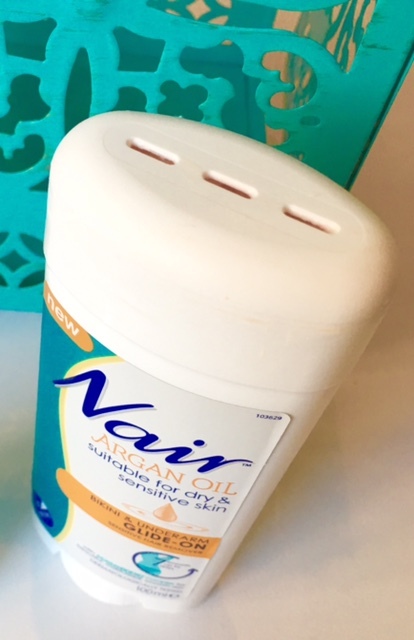 The one dislike of any depilatory product for most people is the smell, in my opinion none of them smell particularly great and the Nair is no exception, so don't expect anything different here. The Bikini and Underarm Sensitive Glide-On comes in similar packaging to an underarm glide-on deodorant, with a wind up mechanism to propel and control the amount the amount of pink cream dispensed through the three slits at the top. 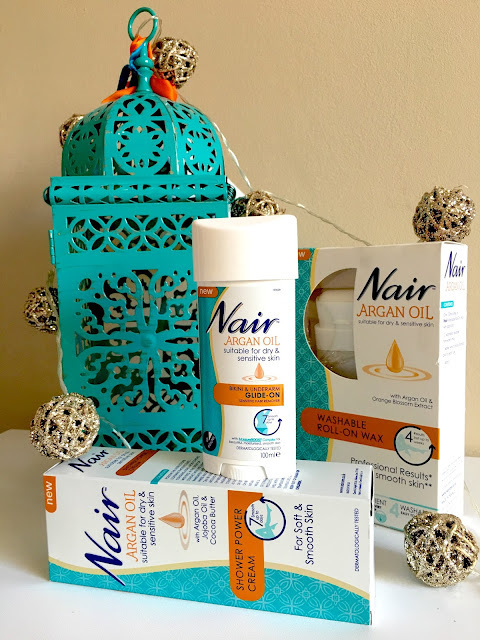 This unique application method offers an easy, touch-free way to remove hair, even in hard to reach areas and has the added bonus of being Infused with 100% natural Moroccan Argan Oil. Moroccan Argan Oil has been used for centuries and is known to help moisturize skin through its replenishing, nutrient-rich and restorative qualities.